Photography credits: Mathew Frith, Dusty Gedge, Gyongyver Kadas, Stephan Brenneisen, and Derek Brown. Peter Massini, Jill Goddard, James Farrell, Rachael Hill, John Newton and Jamie Dean for their support in getting green roofs happening in London. Without their enthusiasm and energy over the past 10 years, our different approaches to green roofs might never have left the ground. Peter Allnutt, Nick Ridout, Mark Harris and Dr Alun Rhys-Tarr, green roof manufacturers and suppliers for their encouragement, commitment, and support. Stephan Brenneisen in Switzerland who has been a real catalyst for much of our work on biodiversity and green roofs, and a joy to work with. Privacy and data protection information for the Livingroofs.org website is on this page. Green Places covers the creation, management and use of public space, from urban squares to country parks. It is the only publication to link all public space interests and its coverage transcends professional boundaries. As a result, the journal has a diverse readership including: green space managers, landscape architects, urban designers, artists and community groups. It reflects the latest thinking from all those who influence our public spaces, it stimulates debate and ensures best practice is shared widely. It is published by the Landscape Design Trust whose mission is to foster understanding and awareness of the landscape for the benefit of the environment and the community. Green Roofs; Their Status And Potential For Supporting Biodiversity In Urban Areas, English Nature Research Report 498, English Nature, Peterborough, 2003. This website grew out of a desire to share and increase the understanding and implementation of green roofs, green walls and other Green Infrastructure in our cities. 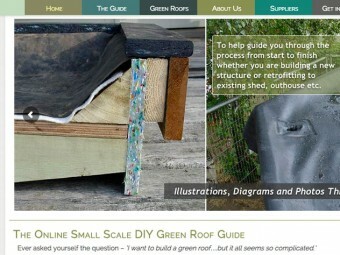 for their financial support for the Green Roofs and Biodiversity PhD, which this web resource is part of. 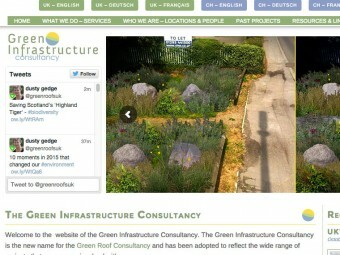 The Green Infrastructure Consultancy is a commercial offshoot that provides Green Infrastructure advice and services. 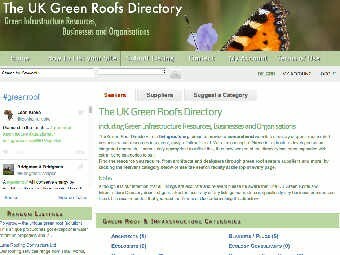 A clear, concise directory of green roof, green infrastructure and related businesses and resources. Dusty is the co-founder and driving force behind livingroofs.org. 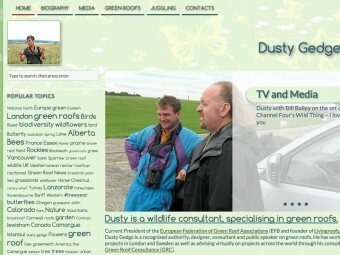 The Dusty Gedge website is his personal site and provides more information on the man and his passions.